At tonight’s NHL draft the Boston University Terriers tied a record for most first round picks from a school with 4. This alone is impressive – especially when three of the newly drafted Terriers are incoming freshmen – but making it even cooler is that these four went in the top 19. Clayton Keller, pictured above, went 7th to the Arizona Coyotes. Current starter Charlie McAvoy went 14th to the Boston Bruins. Dante Fabbro went 17th to the Nashville Predators. 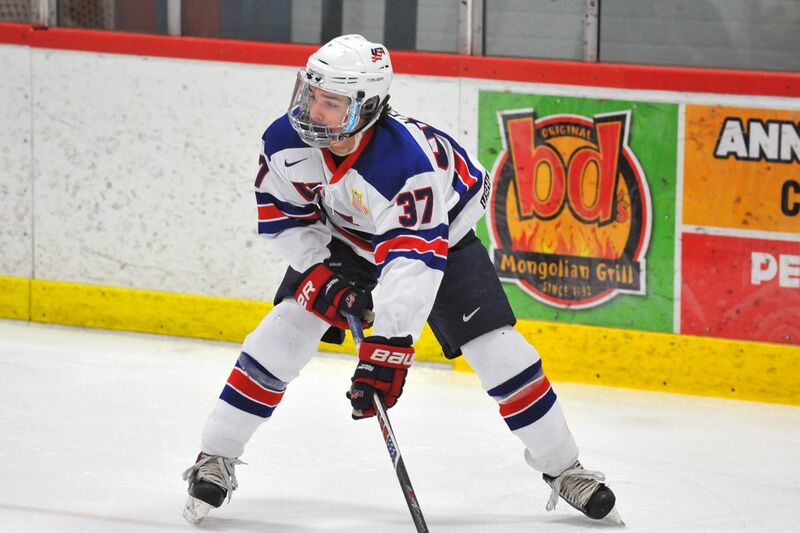 Finally, Kiefer Bellows went 19th to the New York Islanders. Unlike last night’s NBA Draft, the NHL Draft is structured to allow players to compete in college while teams retain their draft rights. That means the team suddenly picks up three top 19 talents in addition to the one they already had – not counting the handful of NHL prospects we already have. Well suddenly we can start looking at the Frozen Four as a realistic goal, right? This is going to be really fun.